It’s been hot, hot, hot — with record heat. Saturday promises to be hot, maybe the “hottest day of the year” for this fun bicycle ride. 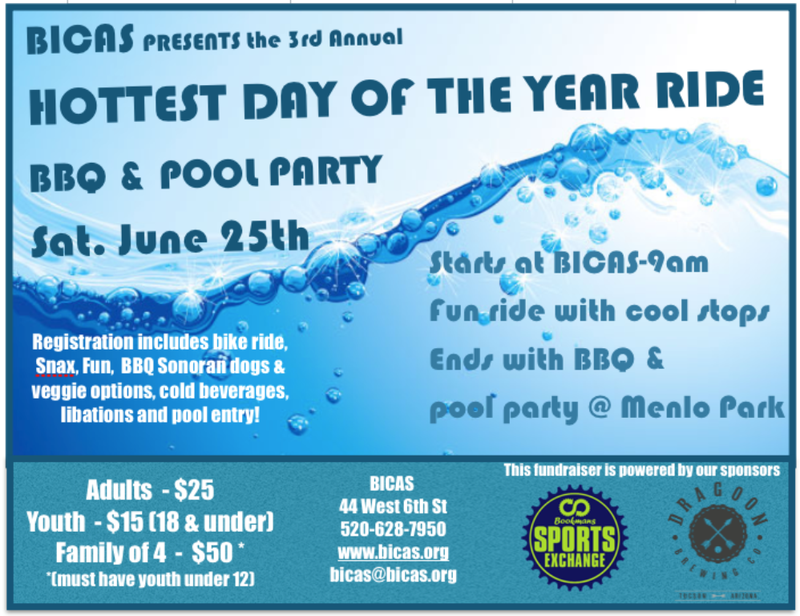 Ride starts at BICAS, 44 W. 6th Street (NE corner of N. 9th Avenue), then goes west to Menlo Park for the bbq pool party. Enjoy summer in the Southwest. Drink lots of water.